Squash, members of the Cucurbitaceae family and relatives of both the melon and the cucumber, come in many different varieties. While each type varies in shape, color, size and flavor, they all share some common characteristics. Their shells are hard and difficult to pierce, enabling them to have long storage periods between one week and six months. Their flesh is mildly sweet in flavor and finely grained in texture. Additionally, all have seed-containing hollow inner cavities. 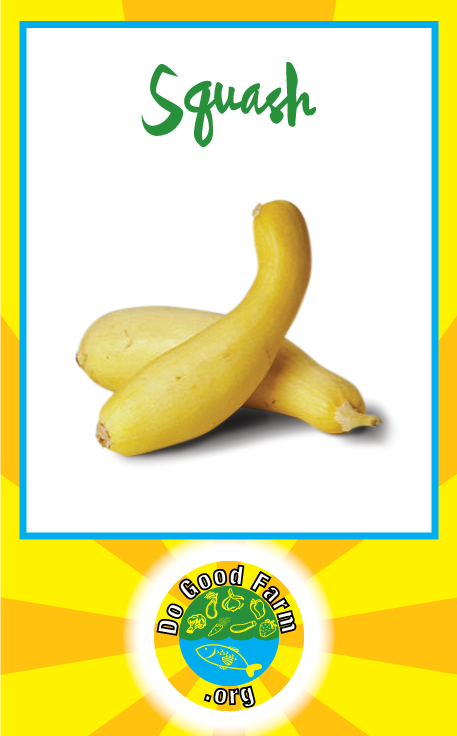 The amazing phytonutrient content of squash makes us realize that this food is not just a starchy vegetable. Carotenoids found in squash include alpha-carotene, beta-carotene, beta-cryptoxanthin, lutein, and zeaxanthin. Pectin-containing cell wall polysaccharides found in squash are important anti-inflammatory nutrients provided by this food, as are its cucurbitacins (triterpene molecules). Squash is an excellent source of immune-supportive vitamin A (in its “previtamin” carotenoid forms) and free radical-scavenging vitamin C. It is also a very good source of vitamin C, dietary fiber, vitamin B6, manganese and copper as well as a good source of potassium, vitamin B2, folate, vitamin K, pantothenic acid, omega-3 fatty acids, magnesium and niacin. Consuming fruits and vegetables of all kinds has long been associated with a reduced risk of many adverse health conditions. Many studies have suggested that increasing consumption of plant foods like squash decreases the risk of obesity, diabetes, heart disease and overall mortality while promoting a healthy complexion, increased energy, and overall lower weight. Preventing asthma: Risks for developing asthma are lower in people who consume a high amount of beta-carotene, the antioxidant that gives certain fruits and vegetables their bright orange pigments. Look for other orange plant foods like papaya, apricots, broccoli, cantaloupe, pumpkin and carrots to increase your beta-carotene intake. Lowering cancer risk : Beta-carotene has also been shown to have an inverse association with the development of colon cancer in the Japanese population.Among younger men, diets rich in beta-carotene may play a protective role against prostate cancer, according to a study conducted by the Harvard School of Public Health’s Department of Nutrition. Managing diabetes: Type 1 diabetics who consume high-fiber diets have lower overall blood sugar levels, while type 2 diabetics have improved blood sugar, lipids and insulin levels. One cup of squash provides about 6.6 grams of fiber out of the recommended 21-25 g/day for women and 30-38 g/day for men. Healthy looking skin and hair: Squash is also great for your skin because it of its extremely high vitamin A content, which is needed for sebum production that keeps hair moisturized. Vitamin A plays an important role in the growth of all bodily tissues, including skin and hair.As an added bonus, one serving of squash provides over 50% of the required vitamin C intake for the day, which is needed for the building and maintenance of collagen that provides structure to skin and hair. Promoting regularity: Maintaining a high fiber diet helps to prevent constipation and promote a healthy digestive tract.Recent studies have shown that dietary fiber may even decrease inflammation and improve immune function, consequently decreasing the risk of inflammation-related conditions such as cardiovascular disease, diabetes, cancer, and obesity. Increased fiber intakes have also been shown to lower blood pressure and cholesterol levels and enhance weight loss for obese individuals.